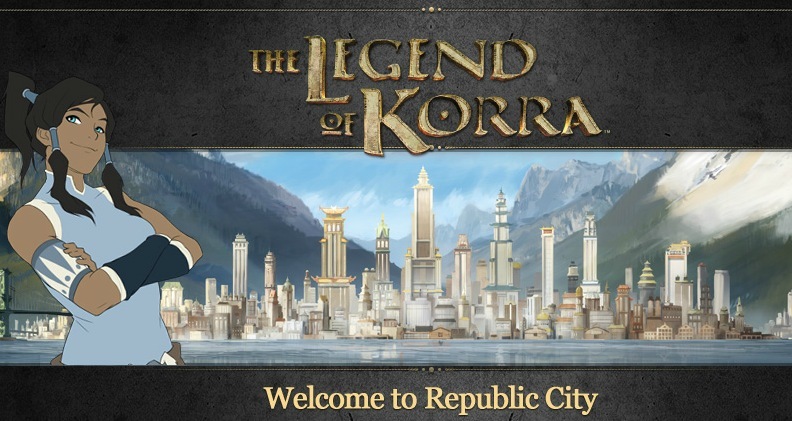 Avatar: The Legend of Korra – Welcome to Republic City (game screen shot), April 10, 2012. (Harryhogwarts via Wikia.com). Qualifies as fair use under US Copyright laws because image is only being used to visually identify the subject. I wish that this was only a pun. But, Michael DiMartino and Bryan Konietzko’s Avatar: The Last Airbender spinoff The Legend Of Korra was only a legend in their own minds. It’s not that Korra’s first season wasn’t a good one. It’s that Korra could not possibly live up to what was the greatest animation series of all-time. Any fan of Avatar: The Last Airbender couldn’t help but be disappointed with the first season of Korra. First, it took four years for them to bring Korra to Nickelodeon, and a full twenty months after they released the first stills for the new series in August ’10. They wasted two of those years making the terrible live-action The Last Airbender (2010) as directed by M. Night Shyamalan (see my “The Last Airbender, or Shyamalan’s Cynical Egg?” post from July ’10). Korra, Avatar: The Legend of Korra (artwork), October, 2011. (http://fanpop.com). Qualifies as fair use under US Copyright laws, as image is only being used to identify blog subject. So Korra was behind the 8-ball already when the show officially launched in April. Then the first episode began, exploding through waterbender Avatar Korra’s growing-up years in about three and a half minutes. That opening scene set the tone for all twelve of the first season’s episodes. 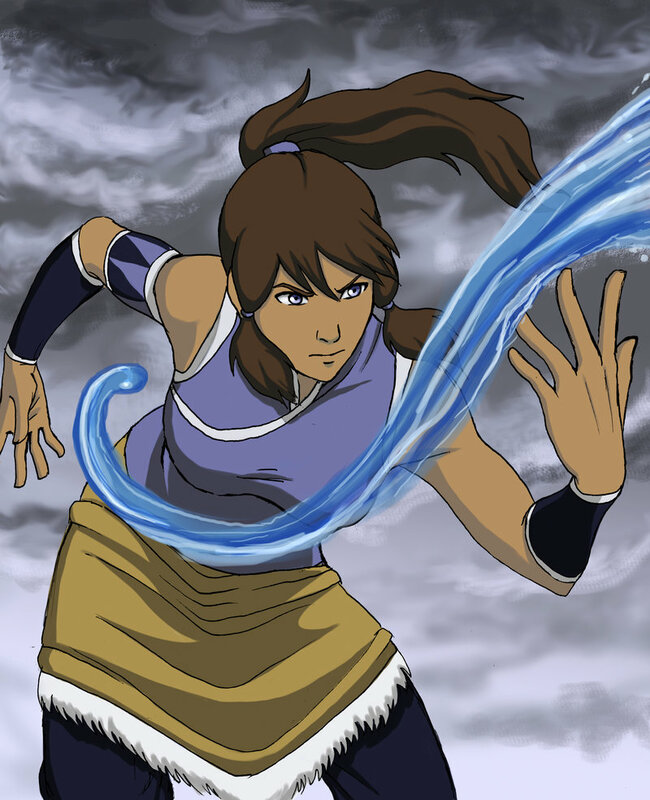 One could sort of justify the rapid pace of Korra because she’d already mastered three of the four elements and because the spin-off had moved seventy years into the future, and a somewhat modern one at that. But the pace left little room for character development and the clear-cut personality distinctions that made Avatar: The Last Airbender the ultimate experience. It took three episodes for me to find a good-and-honest scene that produced a personality quirk (see Bolin as a poor man’s Sokka here) and a hearty laugh. You got no sense of how Tenzin became part of Republic City’s council, or how tension-filled his life must’ve been as the responsible son of the great Avatar Aang. The elderly Katara appeared in a couple of scenes, and there was no attempt to explain the intervening years between the end of the Hundred-Year War until the last couple of episodes. Even then, these were fleeting scenes in a fast-paced, let’s-get-Korra-to-the-Avatar-State season. The sheer lack of an attempt at authenticity with Korra, though, was what I found most disappointing. Seven decades into the future with modern technologies would create cultural tensions for sure, but it certainly wouldn’t wipe out the traditions of the four nations, even in Republic City. That, and only flashes of the spirituality that was completely infused in Avatar: The Last Airbender, made Korra a poor facsimile for whatever tensions between tradition and modernity that the main character faced in the first season. I plan to watch Season 2, assuming that DiMartino, Konietzko and Nickelodeon plan on putting out a second season of Korra now that Season 1 is over. But I’ve lowered my expectations for the new series, especially if the creators intend to continue to rush through plots. It was as if Avatar Korra was on an out-of-control 2 Subway rumbling through Midtown Manhattan, about to flip over and derail.